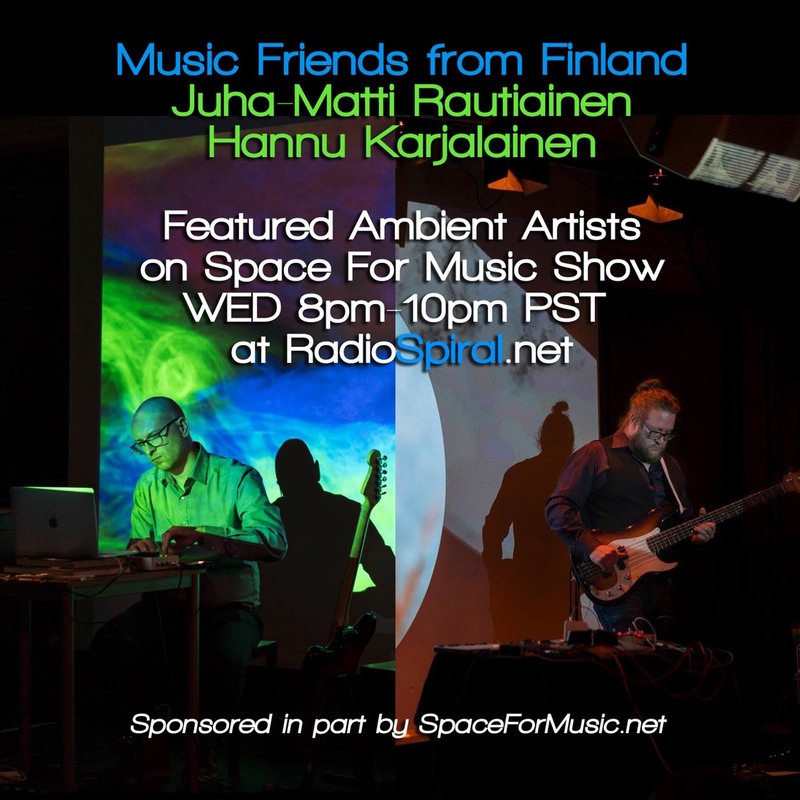 This week’s featured musical artist is a double header with two ambient artists from Finland, Juha-Matti Rautianinen and Hannu Karjalainen who have both newly release albums in November. We will hear new ambience from each. I had the pleasure of performing with Juha-Matti this summer in Finland. His music has been featured on Hearts of Space here in America as well. Our featured artists will appear in the first hour and then the second hour will be my “Momentary SpaceOut” segment of live music from my home studio.